Honda Associates Honor MLK Through Service Projects Hundreds of Honda associates across the U.S. honored civil rights leader Martin Luther King Jr. this week during a variety of community service activities that included, hosting STEM activities for students and learning about his legacy at local MLK Day breakfast events. Below is a recap of activities that took place across the country, as we honored the lasting legacy of MLK. • Making snuggle blankets in Alpharetta, Georgia. Associates helped make hand-made, no-sew, snuggle blankets for donation to the Atlanta Children’s Shelter. 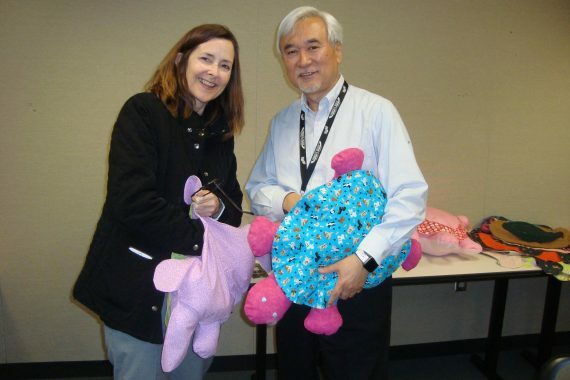 • Hospital Outreach Kits in Madrona, California – Associates with American Honda Finance Corp. continued Honda’s support of the Painted Turtle Summer Camps, by preparing hospital kits to help children with severe medical conditions celebrate just being kids. 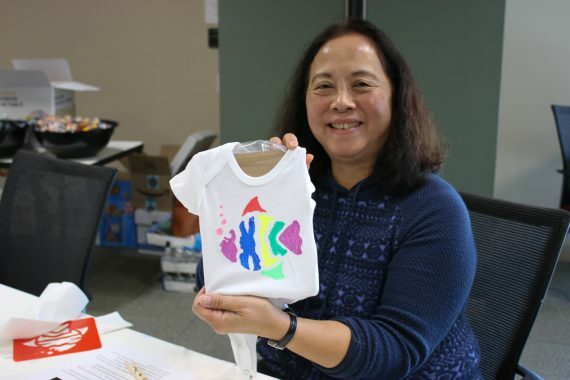 • Painting Baby Onesies in Torrance and Chino, California– Associates will donate 400 hand painted baby onesies for local women’s shelters, through the LA Works organization. 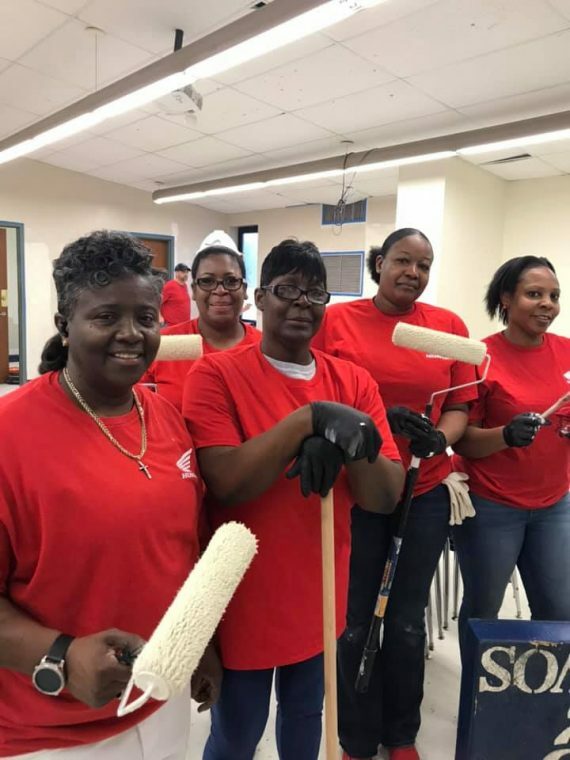 • Revitalize K Anthony Elementary School in Inglewood, California – Associates returned to this historic private school for the fourth year to update and revitalize the classrooms for 4th- to 6th-grade students. Honda Manufacturing of Alabama, Inc. (HMA) Roughly 30 HMA associates joined forces with Hands on Birmingham for a MLK Day of Service. Volunteers cleaned, painted and landscaped the Collegeville Community Center, in Birmingham. Alabama. 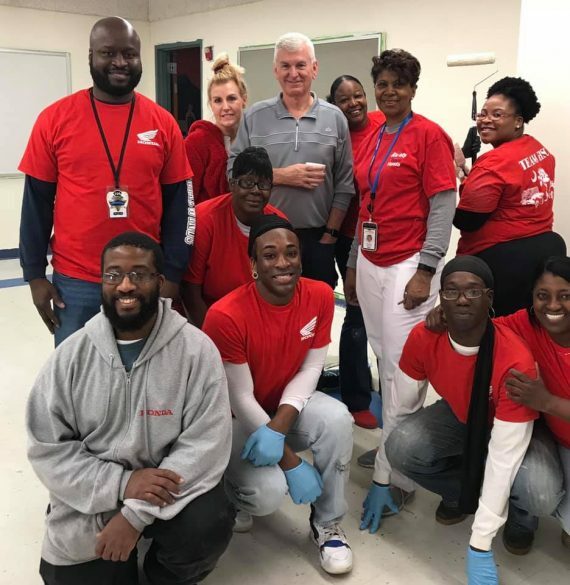 Honda of South Carolina Manufacturing, Inc. (HSC) HSC associates helped make repairs and revitalize the band room at Timmonsville High School in Timmonsville, South Carolina. 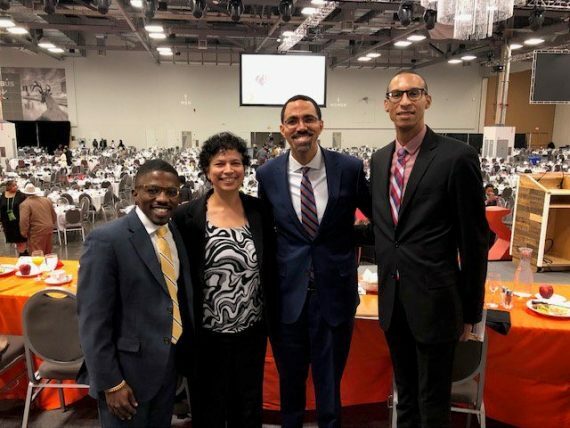 Honda of America Manufacturing, Inc. (HAM) Associates sponsored and attended MLK breakfast events in Columbus and Lima. Honda Manufacturing of Indiana, Inc. ‏ (HMIN) HMIN sponsored free admission and parking for all guests at The Indianapolis Zoo with the donation of a non-perishable food item for Gleaners Food Bank Indianapolis. Associates also hosted an MLK-themed afterschool program and activity at North Decatur Elementary School. In addition, HMIN has teamed up with the Indiana Pacers to present the Dream Big Initiative, which celebrates MLK Day and Black History Month. The initiative takes place through the month of February and includes: a T-shirt design contest; a multi-media challenge for students based on King’s “I Have A Dream” speech; and a “Capes for Kids,” event. At this event, students at Indianapolis Public Schools will hear from Pacers Alumni about contributions African-Americans have made to our country. They will also create their own superhero capes with help from Pacers Sports & Entertainment and HMIN volunteers. 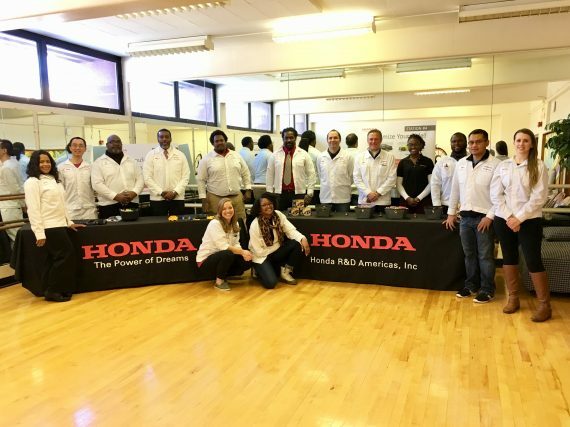 Honda R&D Americas, Inc. (HRA) HRA’s African-American Business Resource Group, ONYX, hosted a STEAM activities room at an MLK Day Open House event at the King Arts Complex in Columbus, Ohio. The kid-friendly room provided a trivia game, a Power of Dreams board and displays describing the process to create a vehicle. There were also mini vehicle-building stations for the kids. 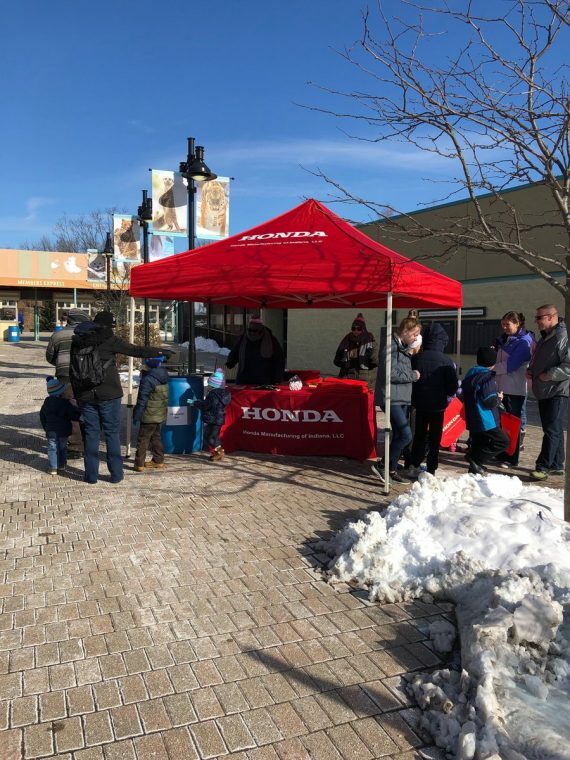 In addition, ONYX and HRA’s Materials team administered a survey to those attending the event in an effort to collect data that will help Honda better understand style preferences among African-American customers as it relates to the interior of the vehicle. The Materials group supplied electronic tablets, mockups, and samples for the survey. HRA also raffled off gas cards for those who participated. 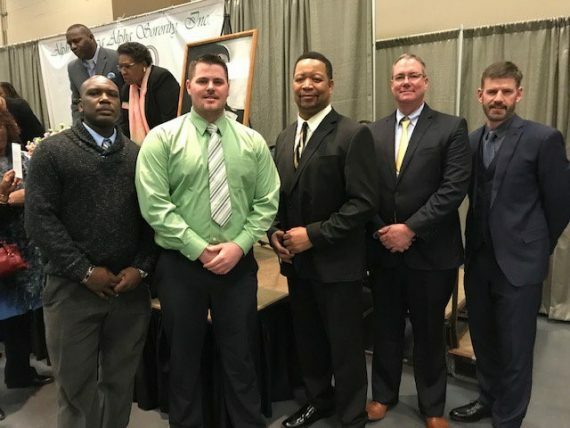 Honda Transmission Manufacturing of America, Inc. (HTM) HTM recognized the holiday by participating in the annual MLK Memorial Breakfast, hosted by the Sigma Mu Omega chapter of Alpha Kappa Alpha in Lima, Ohio.